The iPhone is something many people see as a status symbol. Many who have never owned one, long for their upgrade date so they can go out and buy the "exclusive" iPhone that they have been denied access to for years. Even some who had the iPhone, and then switched carriers, long to repurchase another. Yes, the iPhone is a well made smartphone with access to a loaded app store, and has many desirable features. 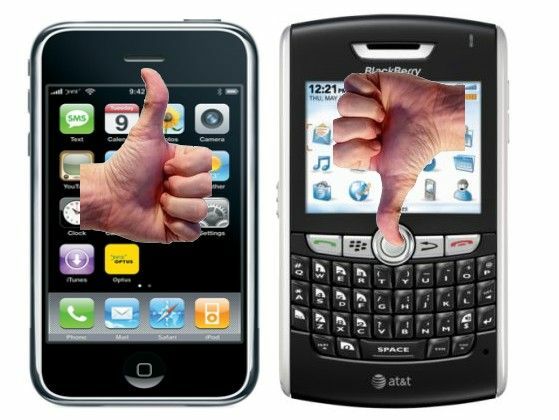 But is it really better than Windows Phone, Blackberry or Android models? When Apple entered into a contract with AT&T, they remanufactured the RAZR craze and how the artificial scarcity of the device created such huge demand. The RAZR was a good device, and you may argue it was well ahead of other phones at the time of its release, but the other manufacturers caught up quickly. Apple used a similar strategy and it has paid off immensely. The iPhone is now available on the top 3 carriers in the U.S., but is still seen as a status symbol in many circles. As if only a few people have access to it. 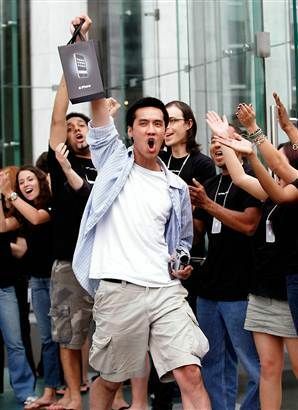 One could make a strong argument that the Samsung Galaxy SII is a superior smartphone, but still many customers line up to get the iPhone instead, because their inner hoarder says they NEED it, and the products perceived coolness and limited availability only add to the whole experience. The concept of artificial scarcity is simple. You take a product that is plentifully available to manufacture in mass, but limit distribution to a limited time, limited area, or in the case of the iPhone, limited retail outlets. The strategy has worked perfect for Disney. Why let your movies make the gradual descent to the $3.99 Wal-Mart bargain bin? Just keep "taking them out of the vault" and offering them at full price for a few months every couple years and people pull their credit cards out to pay $17.99 for an 85 year old movie and thank Disney for "allowing" them the opportunity to purchase Snow White. Oh, and you get to be a part of a limited privileged club. Another notable example is McDonald's McRib. If it was on the menu full time, many people either wouldn't bother going to McDonalds or would order something else, but artificial scarcity commands us to rush in to McDonalds and get several McRibs at a time because we won't have another chance at it for another year. What do we end up with, besides a belly ache and a reason why we don't normally eat at McDonalds? We should be immune to this form of advertising by now, as we are constantly inundated with limited time availability and special edition products all around us. However it is still alive and well here on Planet Earth, because it still works. Big time. Can Apple keep the air of exclusivity over its iPhone as it continues to broaden its distribution? Or will smartphone buyers move on to other devices? Only time will tell. But many doubt that Apple will play its hand as well in an era post Steve Jobs.